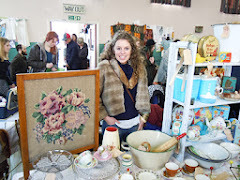 North London Vintage Market: Looking forward to our next weekender on Sat 17th and Sun 18th October! Looking forward to our next weekender on Sat 17th and Sun 18th October! 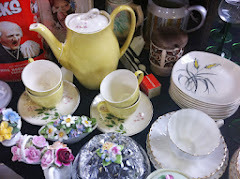 A huge thank you to everyone who visited us at the last North London Vintage Market in September. It was great to be back after the summer break and we are now eagerly looking ahead to our first autumnal weekender. 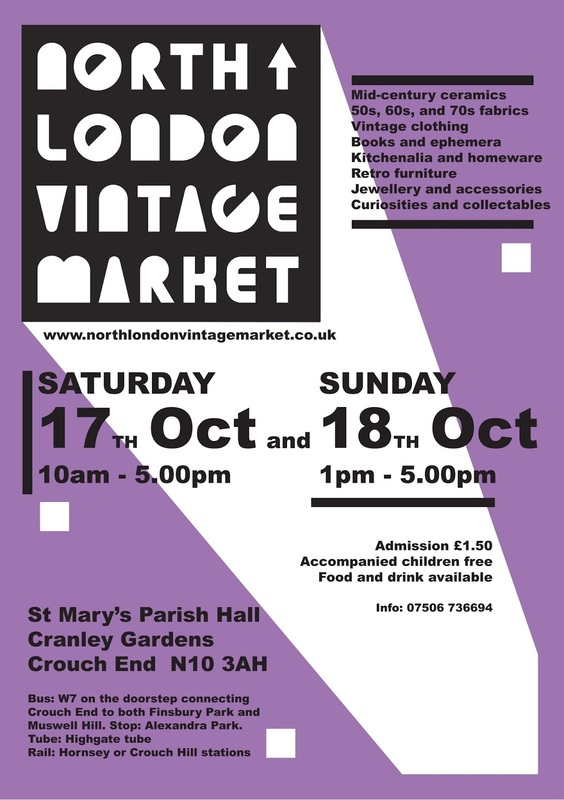 Our next market will be held on Saturday 17th and Sunday 18th October at our usual venue in St Mary's Parish Hall, Crouch End. The market runs from 10am to 5pm on Saturday and 1pm to 5pm on Sunday. This is often our busiest time of the year so expect to see a wealth of fantastic goodies from our fabulous stallholders showcasing everything from homewares, art and ephemera, clothing and jewellery to furniture and lighting. We'll also have some delicious seasonal treats from Fork and Dram to keep your energy levels up.